Below are two excellent Google Drive add-ons to use with your Google Docs. The first one in the list is an application that enables users to generate tag clouds from documents that have over 50 words. 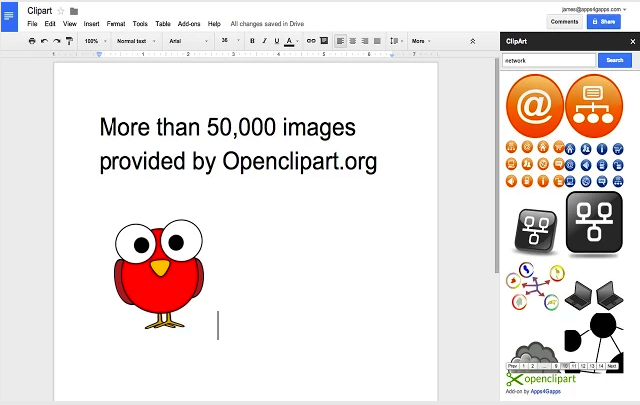 The second add-on provides users with a super easy way to integrate images from the popular OpenClipart right into a Google doc. The app's gallery has over 50.000 pictures to choose from. 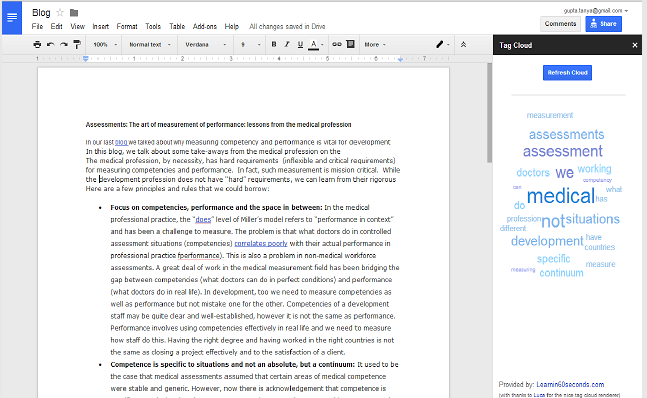 "Tag Cloud Generator creates a tag cloud in the side bar from any Google Docs document that contains more than 50 words. Use this add-on to quickly assess what your emerging theme is, how to best categorize your document, or if it is someone's else's document - find out the theme of the document without reading it. Stop words are automatically removed." "Openclipart provides many of the best clipart images available and now you can search and insert them right into your Google Document. With more than 50,000 images in the library you will be able to find that perfect image to liven up your document or make a favorable impression to that new client."